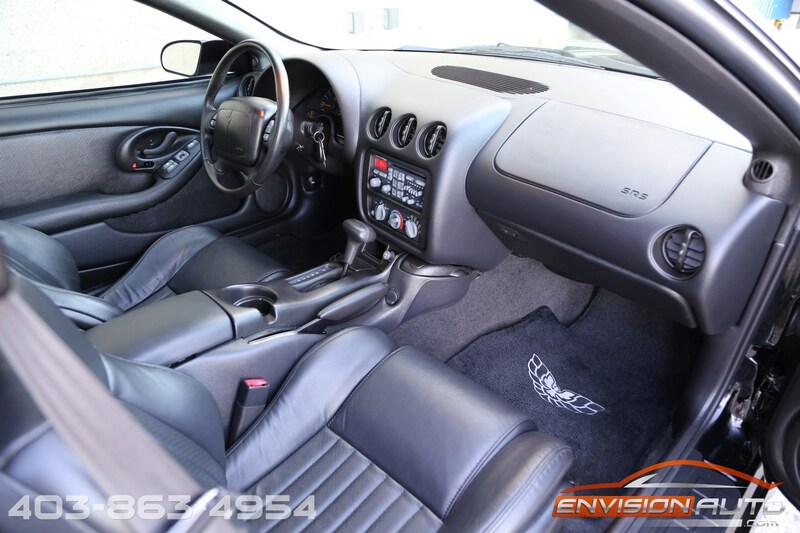 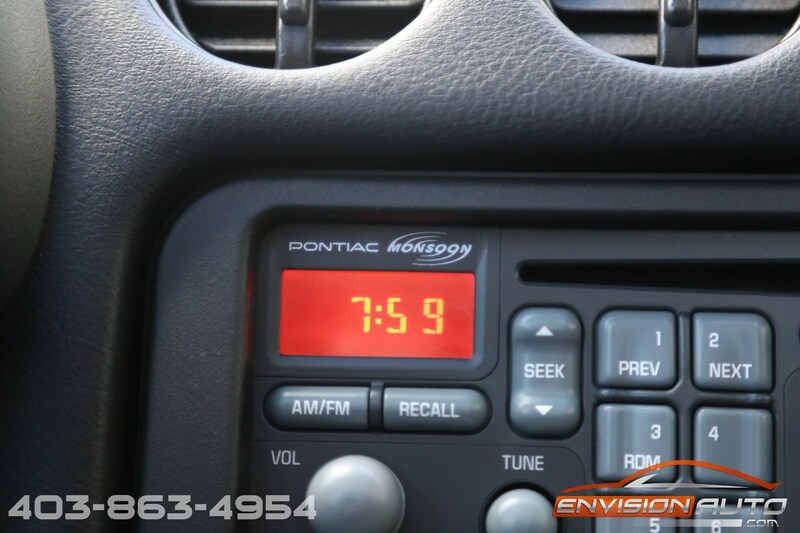 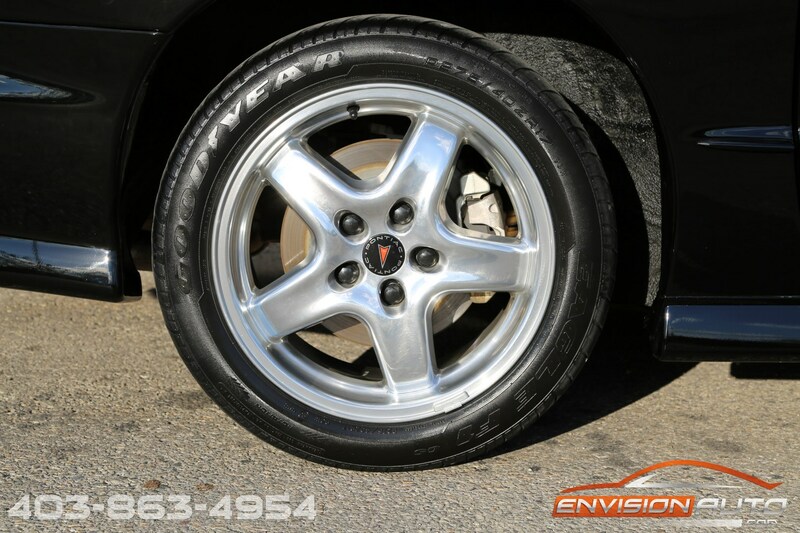 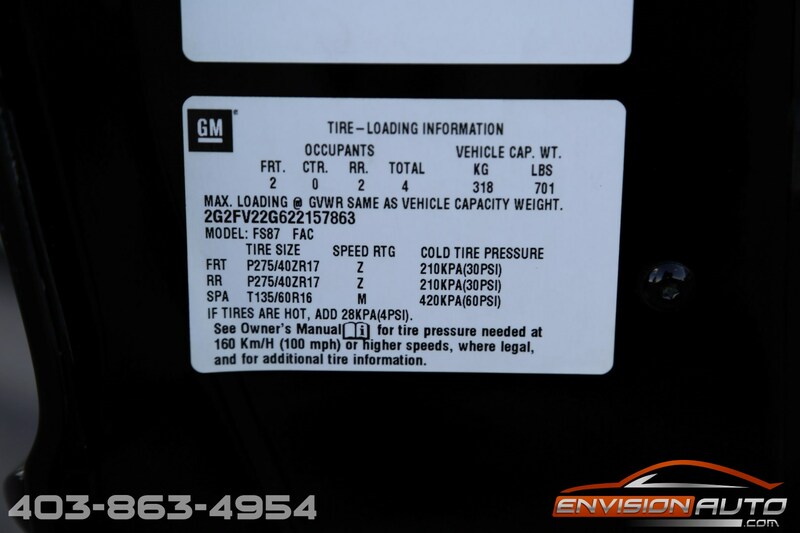 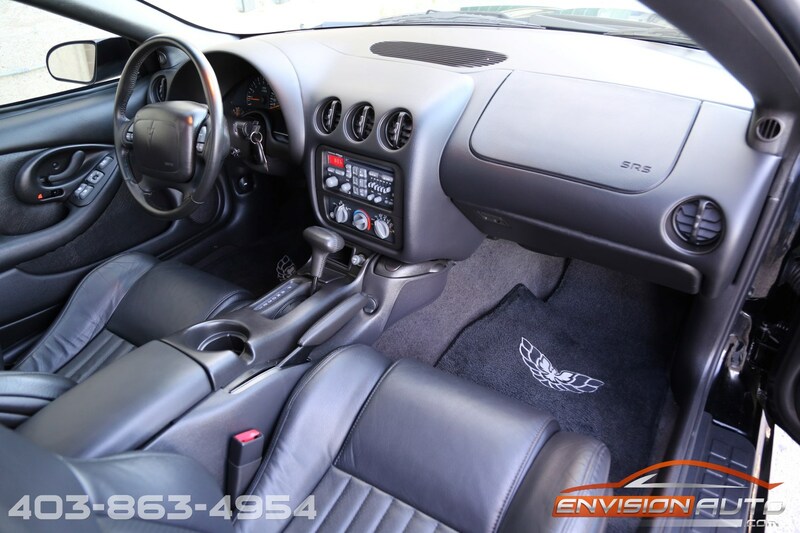 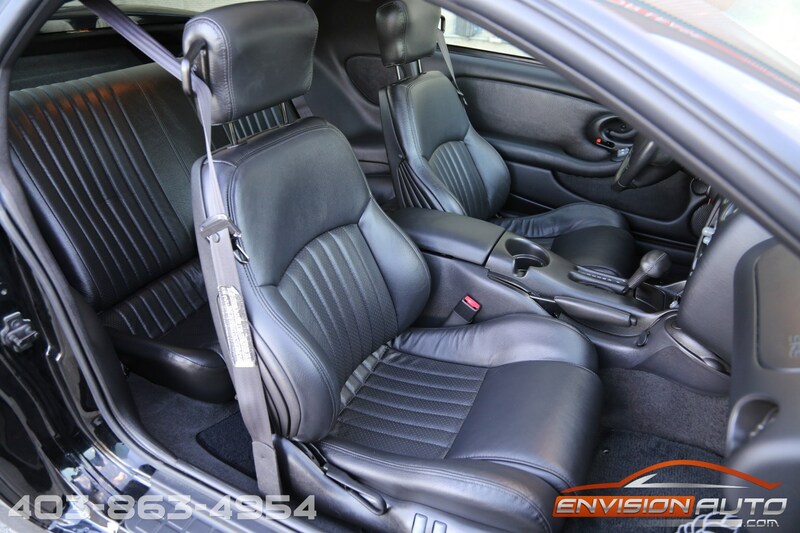 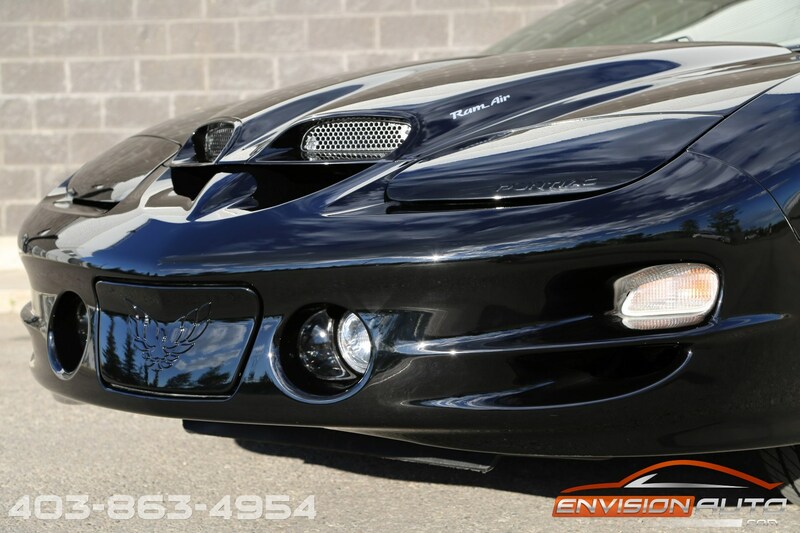 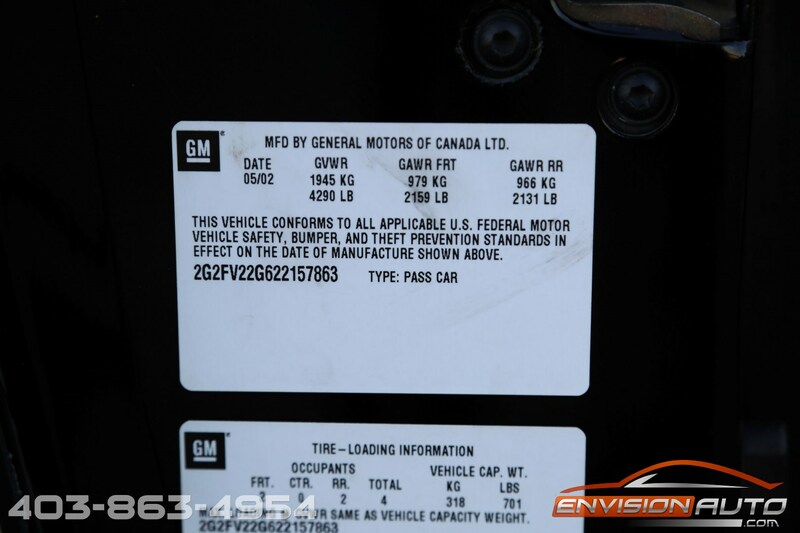 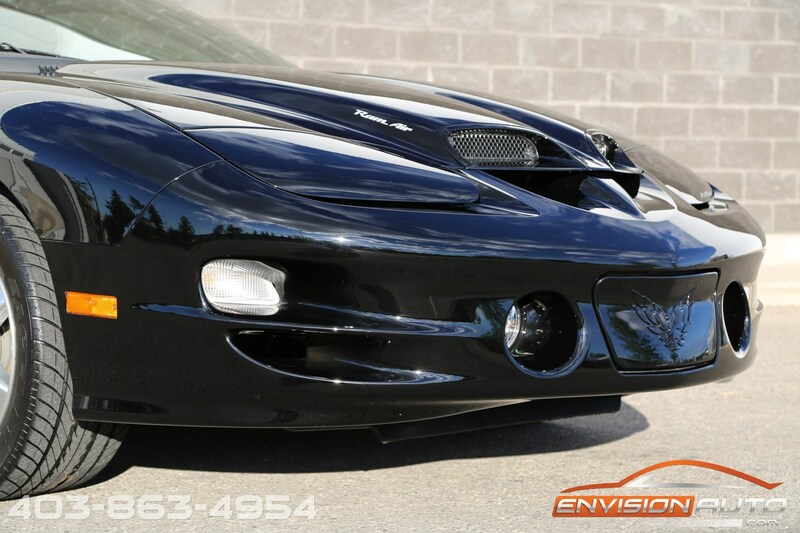 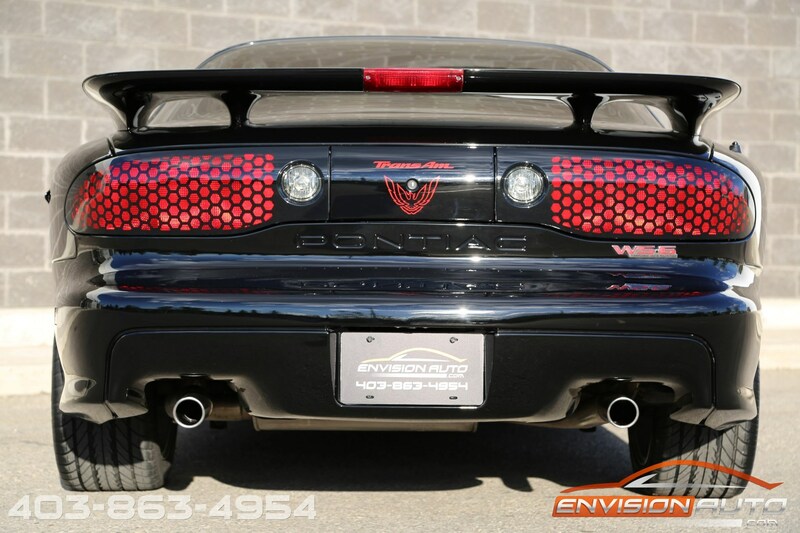 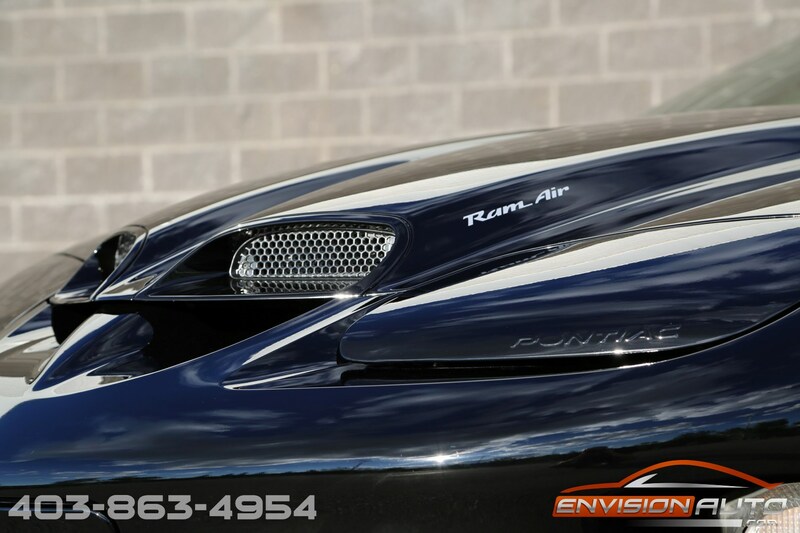 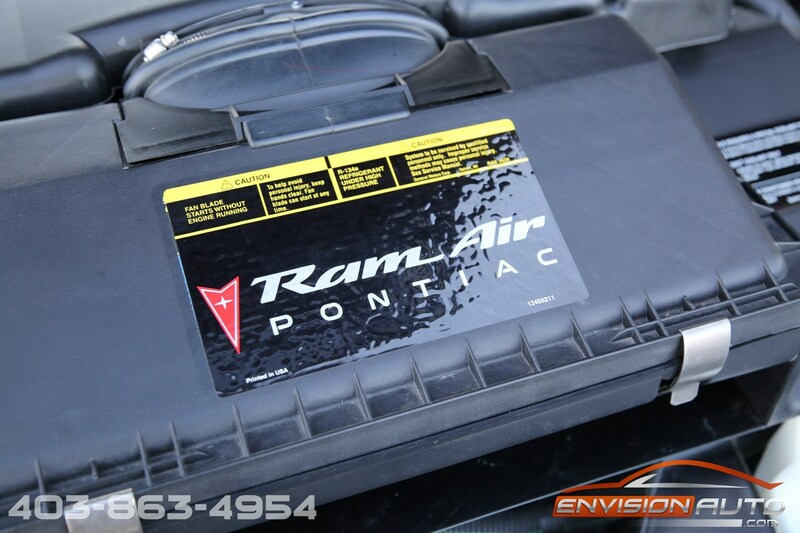 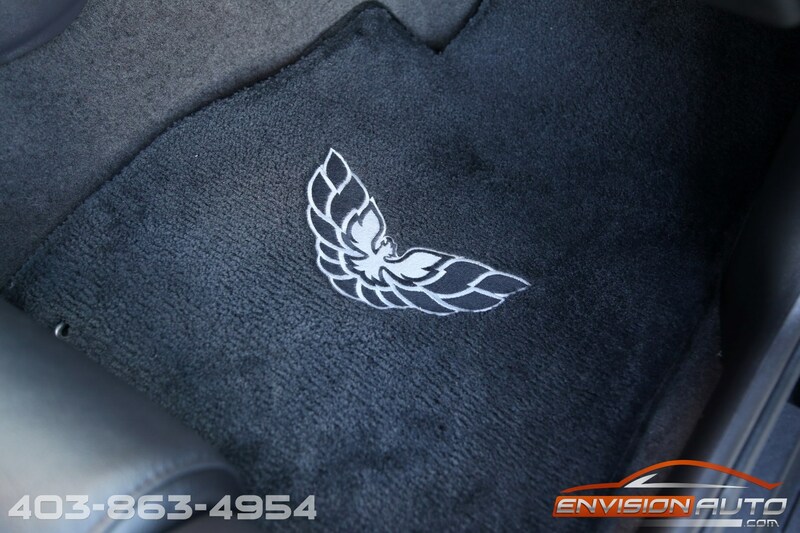 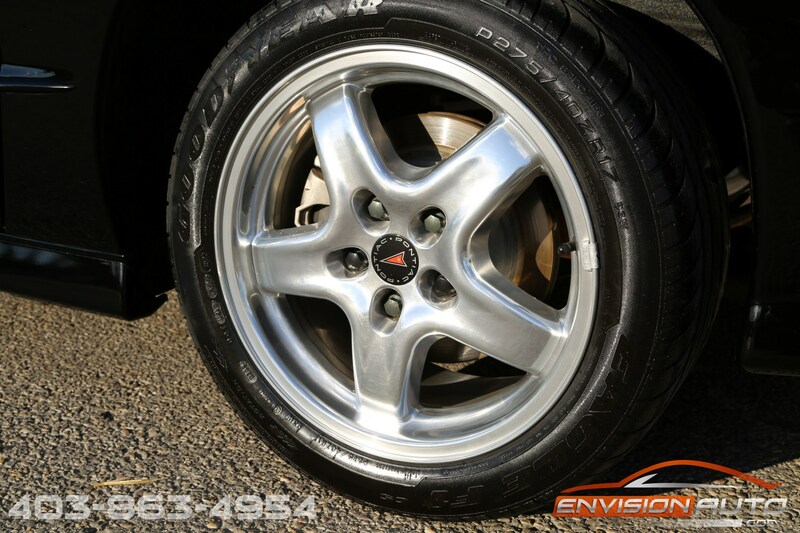 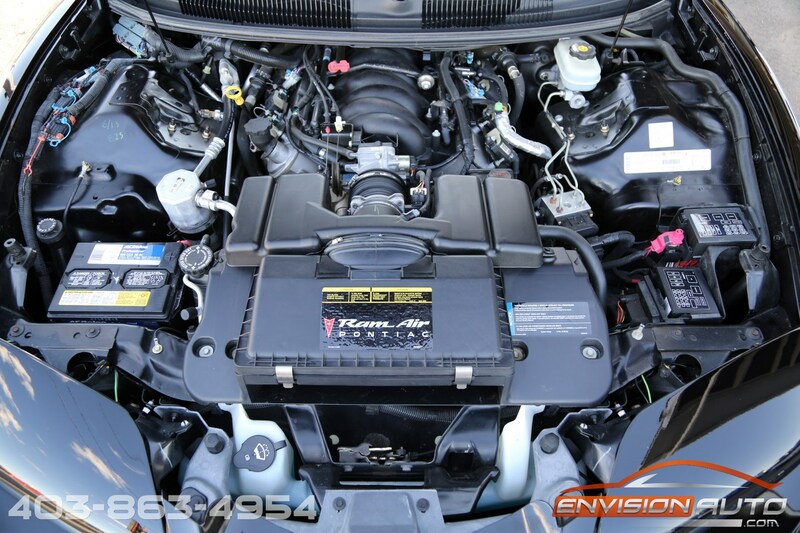 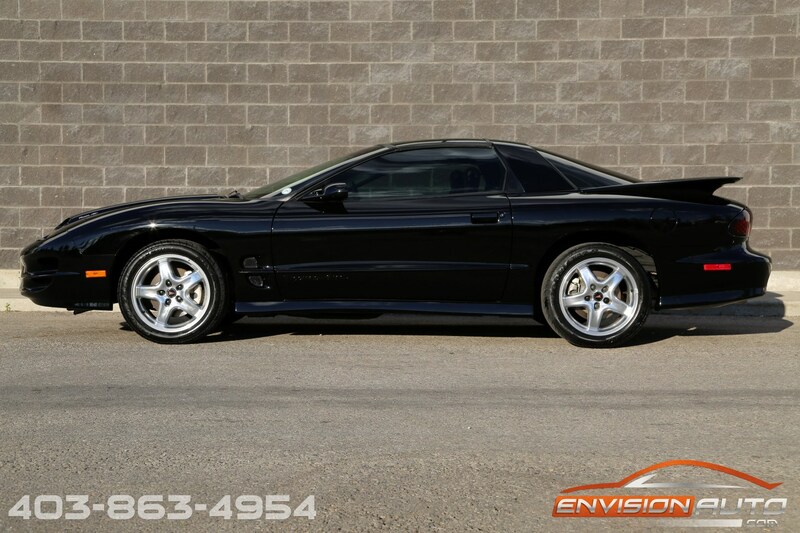 2002 Pontiac Trans AM WS6 Performance Pkg \ RAM AIR \ ONLY 12,900 KMS! 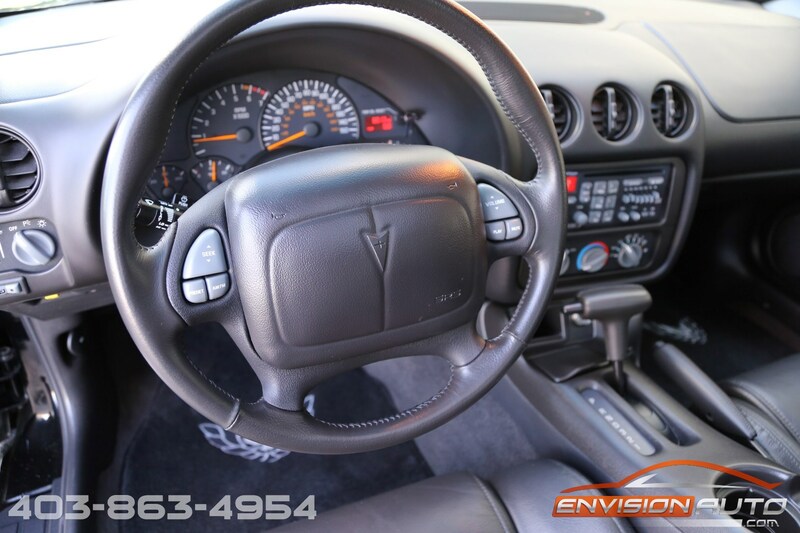 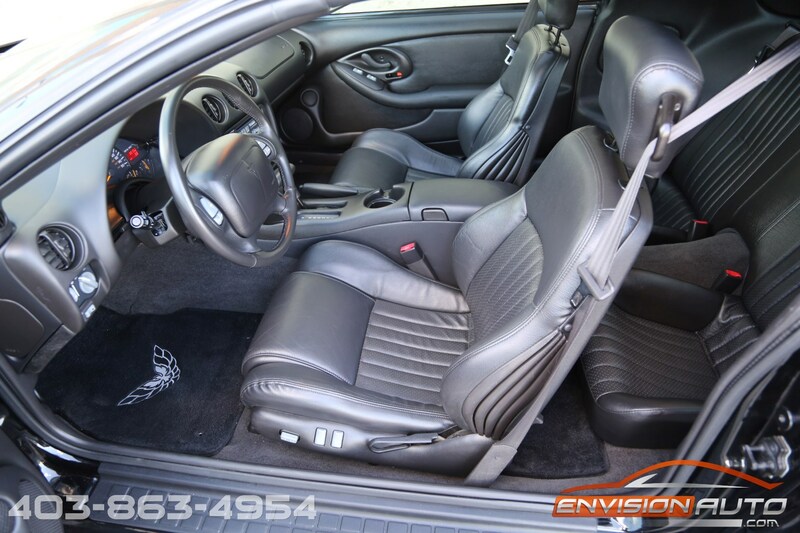 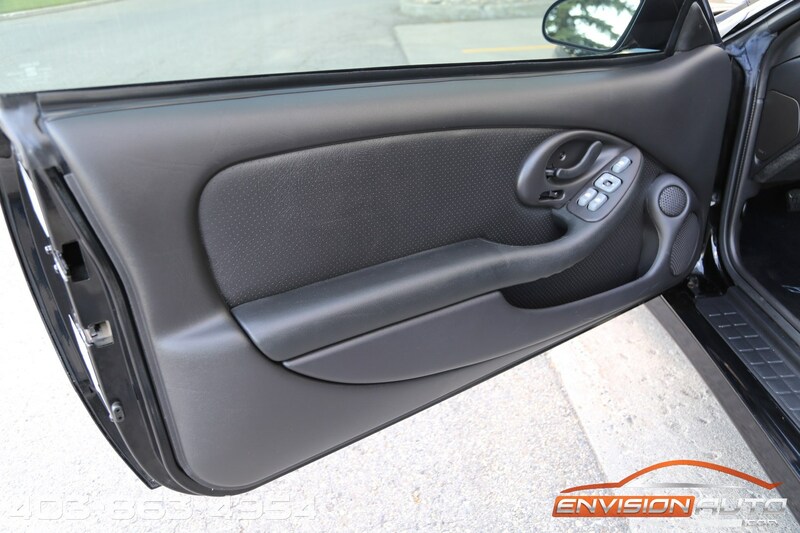 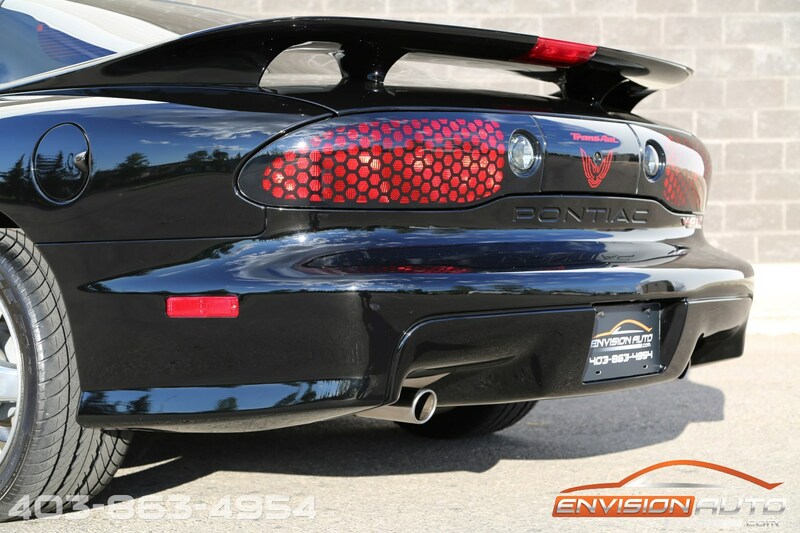 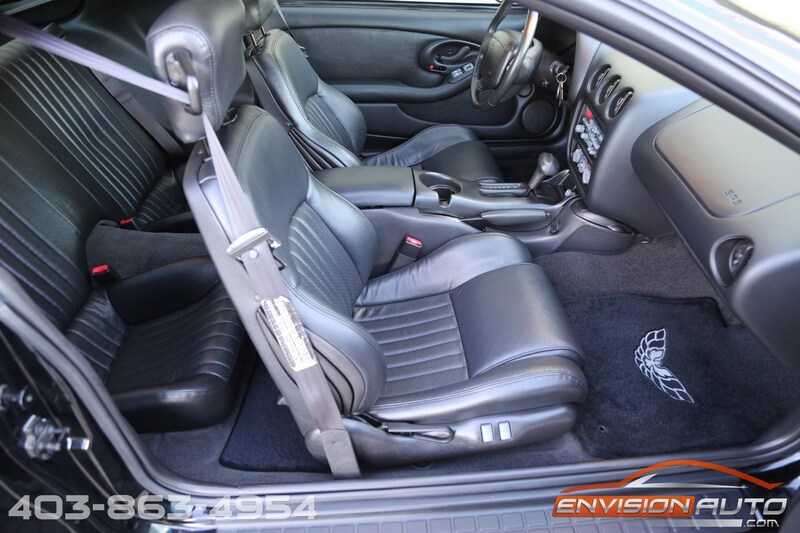 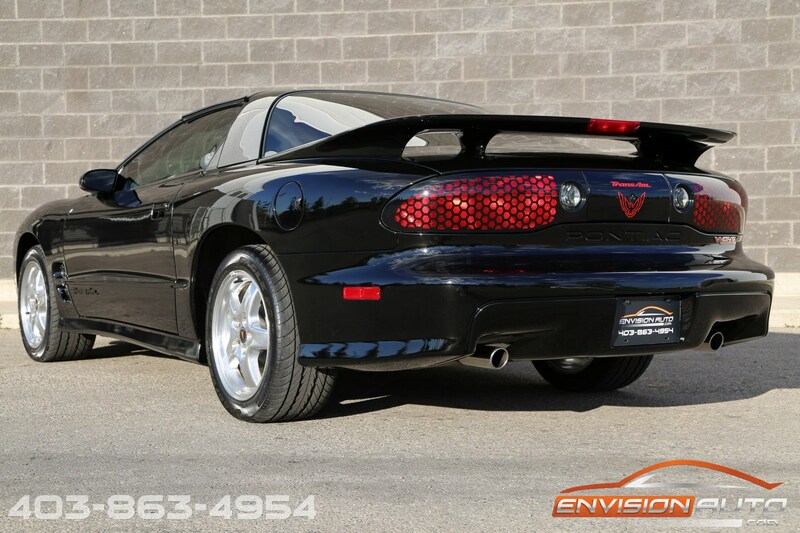 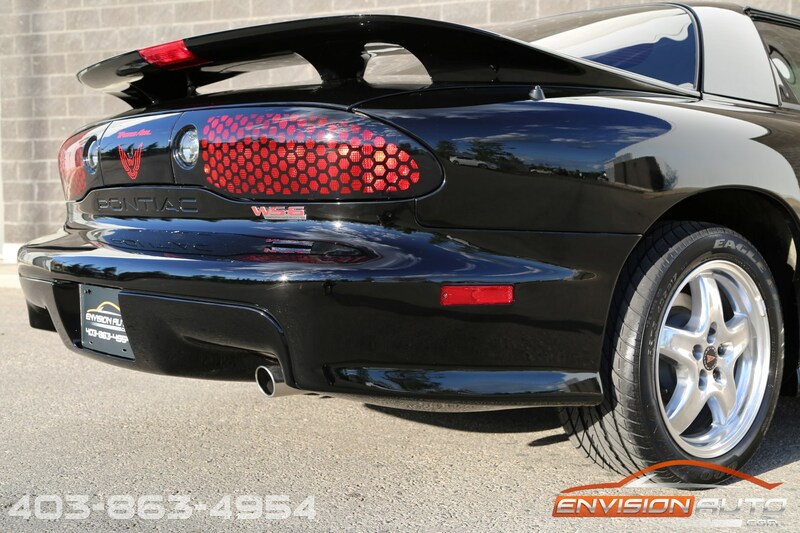 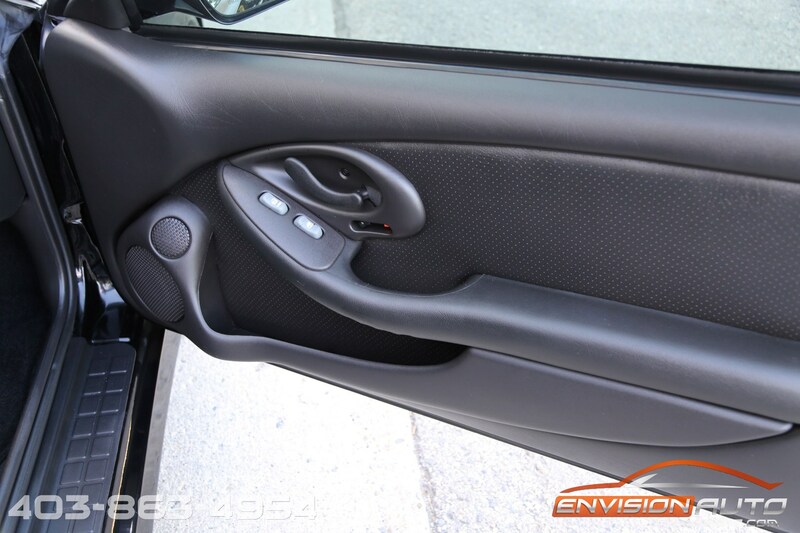 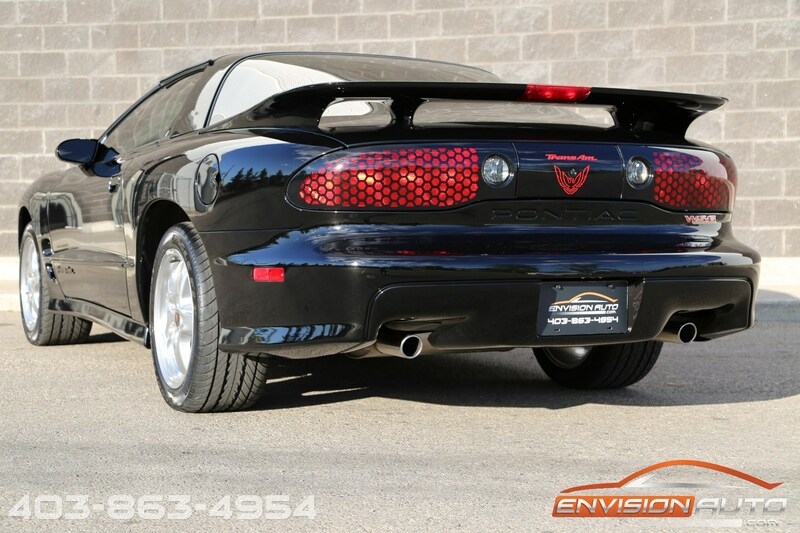 FINAL YEAR 2002 PONTIAC TRANSAM \ WS6 PERFORMANCE PACKAGE W\ RAM AIR \ ONLY 12,900 FACTORY ORIGINAL KILOMETERS \ 100% FACTORY ORIGINAL & UNMODIFIED \ SPOTLESS CARFAX CANADA HISTORY REPORT \ LS1 5.7L V8 325HP \ REMOVABLE T-TOP ROOF \ IMMACULATE THROUGHOUT! 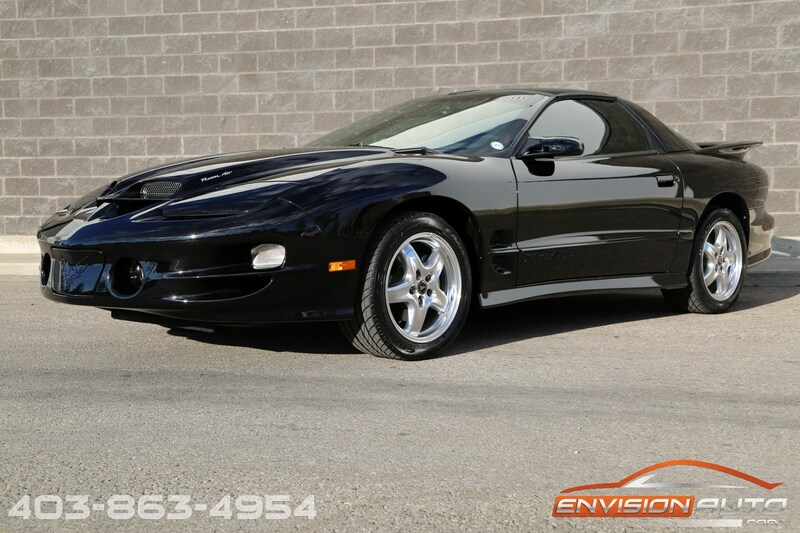 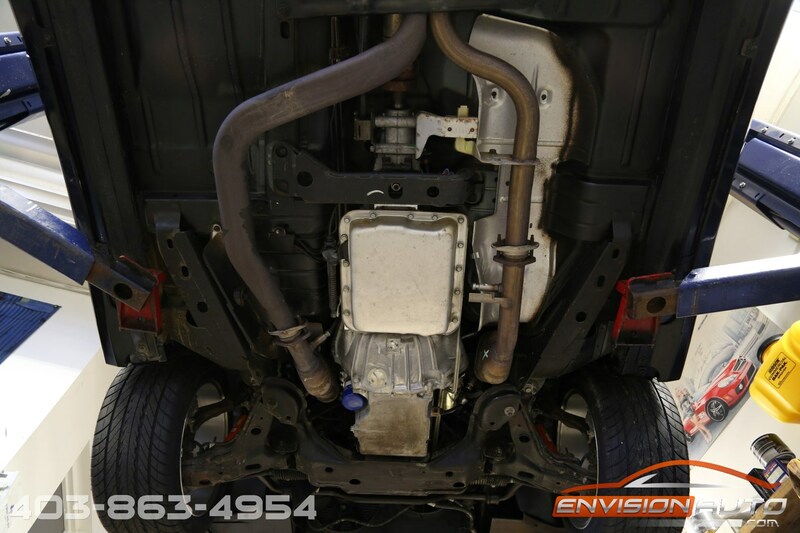 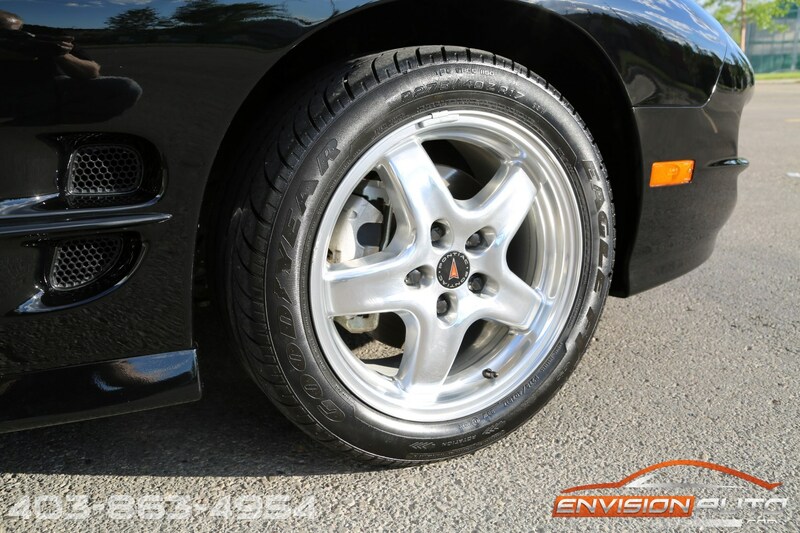 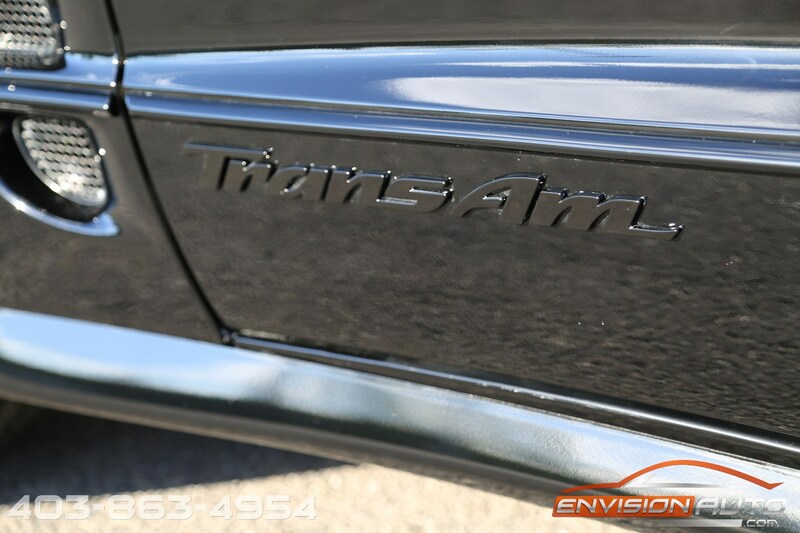 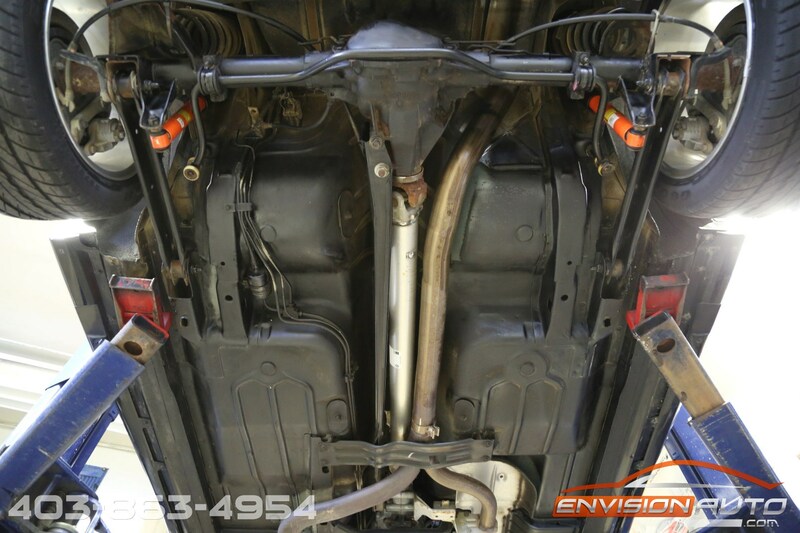 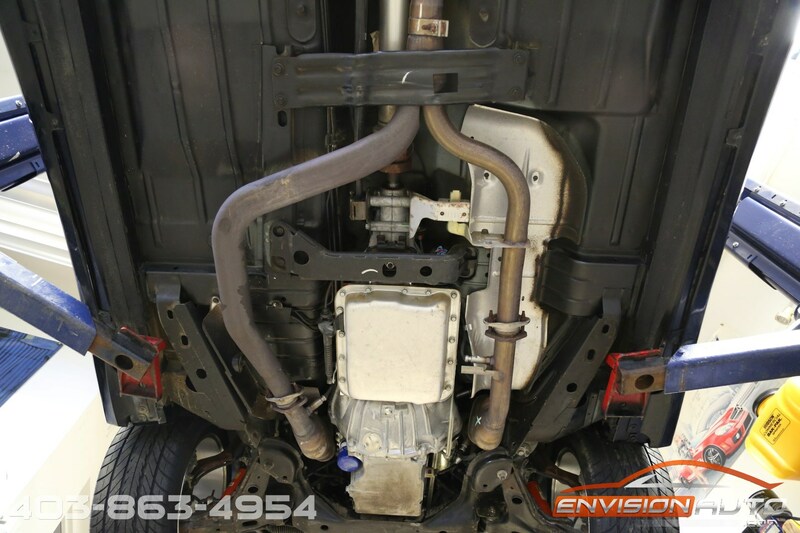 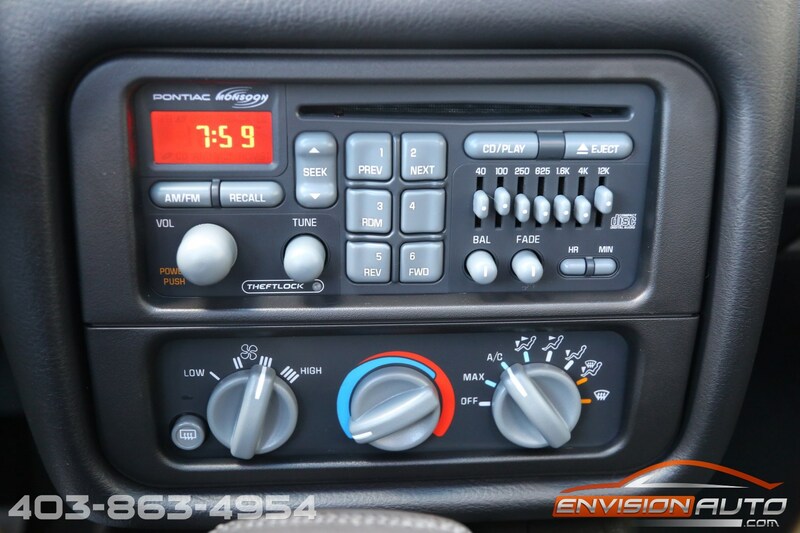 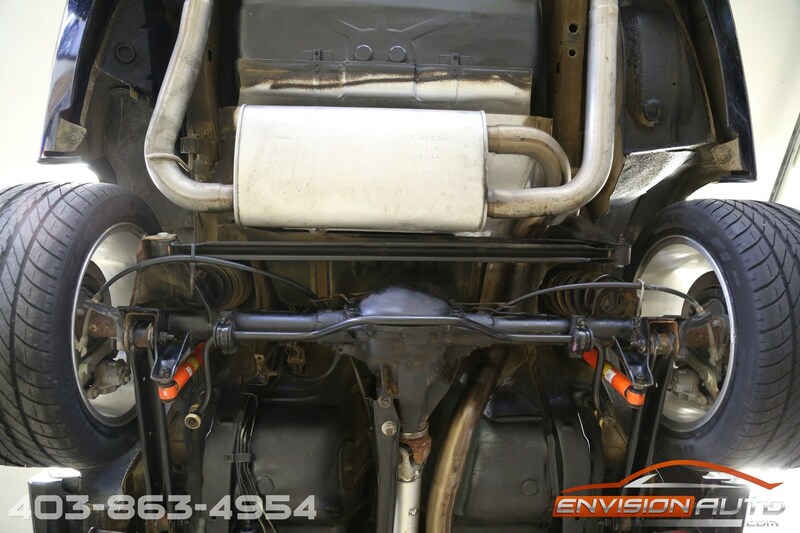 Our company originally purchased and imported this Trans AM from it’s original owner in Missouri back in July of 2007 when it had only 4,500 kilometers (2,800 miles). 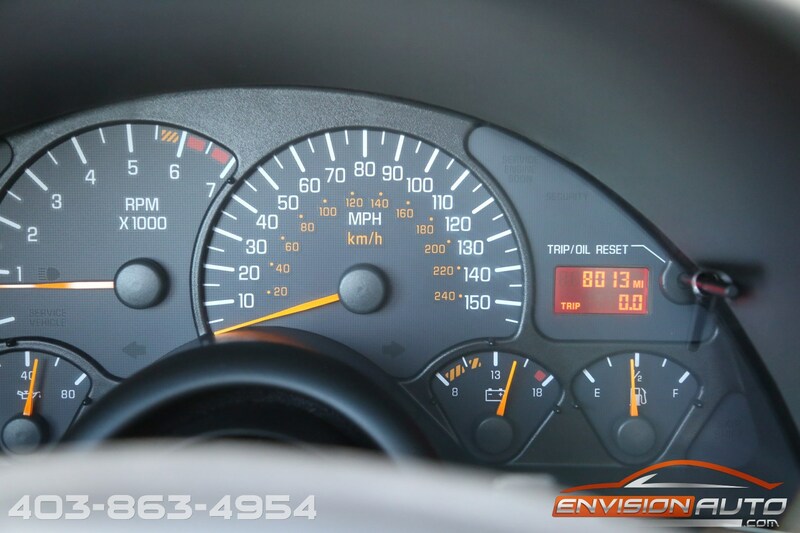 We have just recently reacquired the car now 11 years later and with just 12,900 kilometers (8,013 miles). 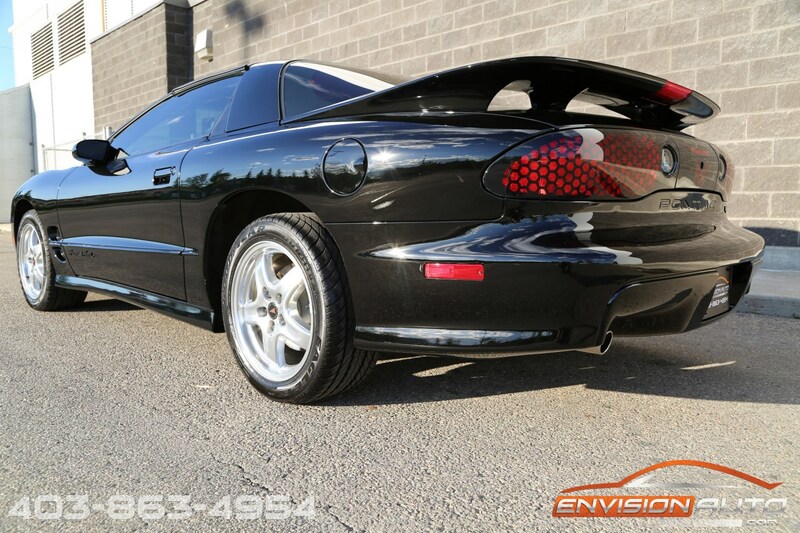 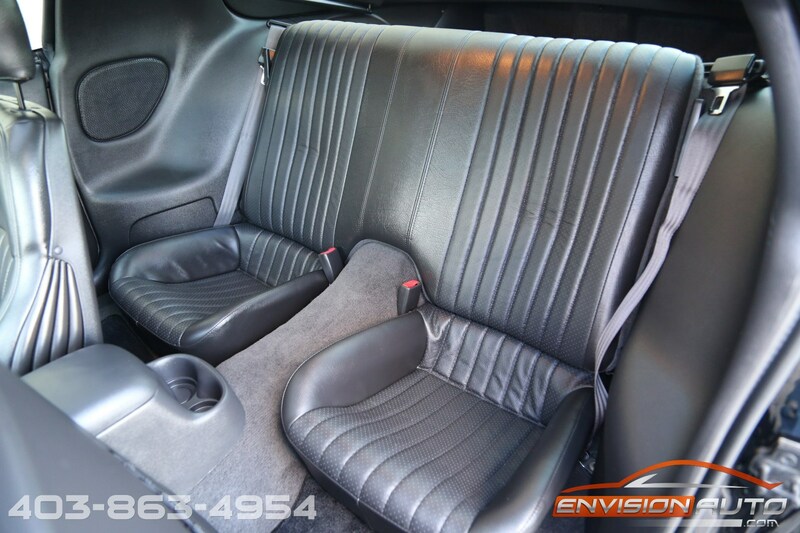 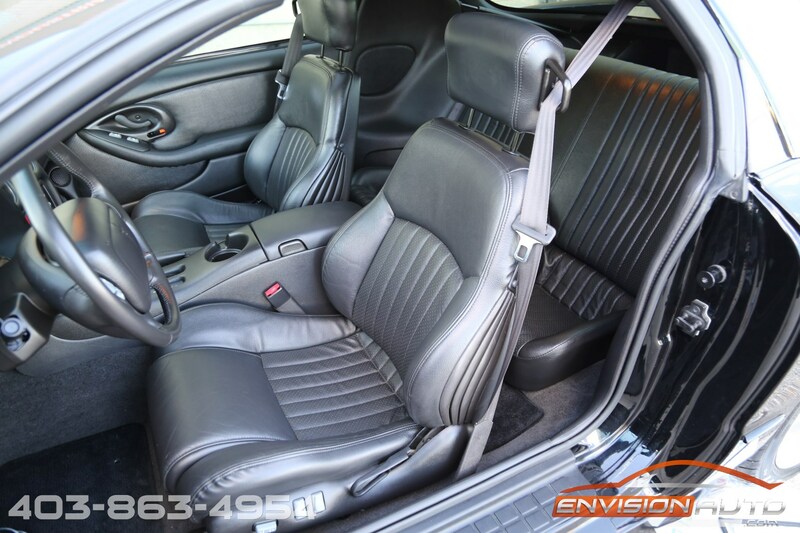 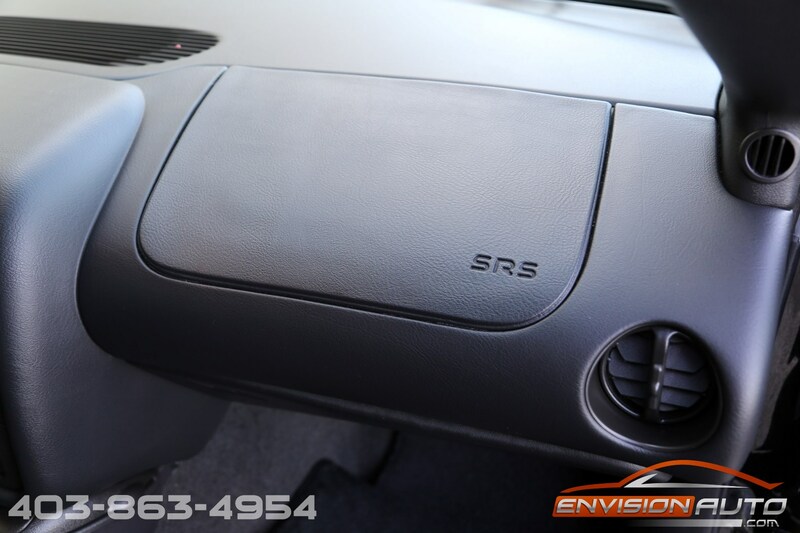 Still in completely factory original condition, this car has zero alterations or modifications of any kind and still looks as good as it did when we purchased the car from the original owner 11 years ago. 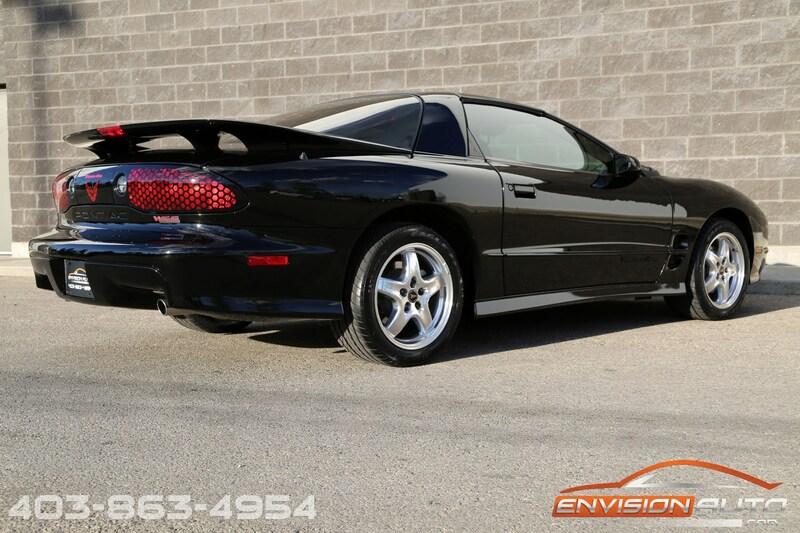 Spotless CARFAX Canada history report with no previous accidents, no previous insurance claims, and no previous paint or body work – all factory and all original! 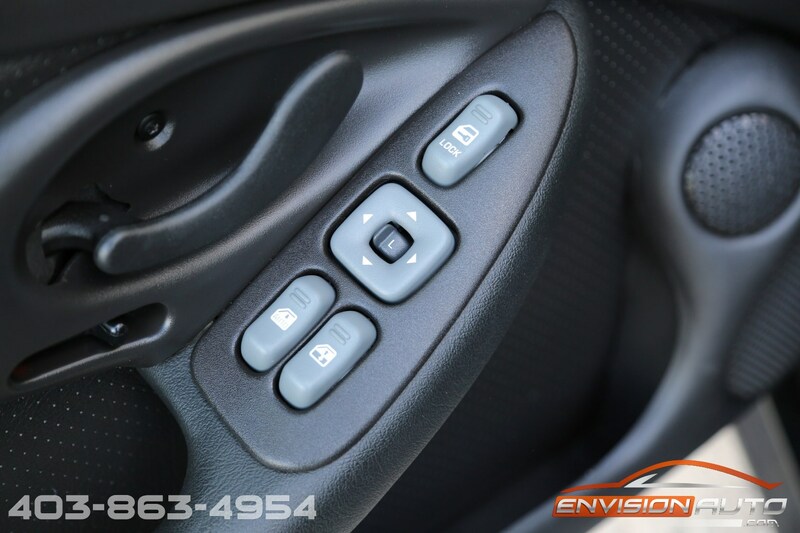 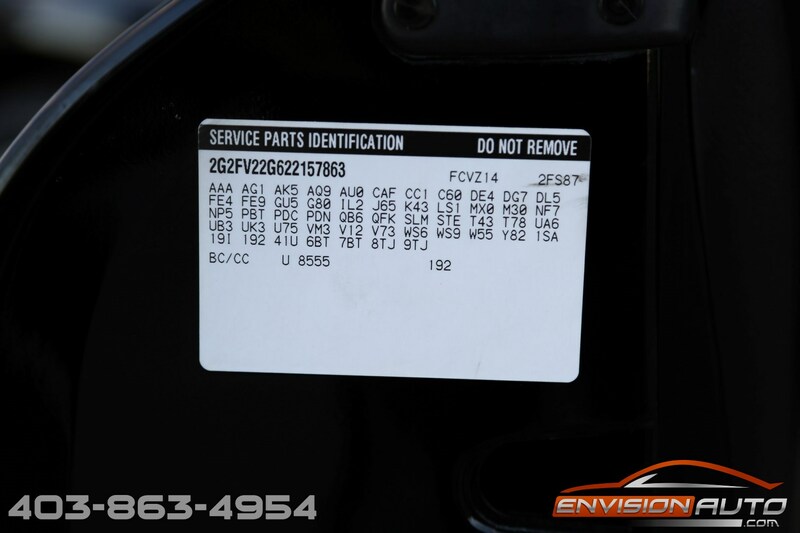 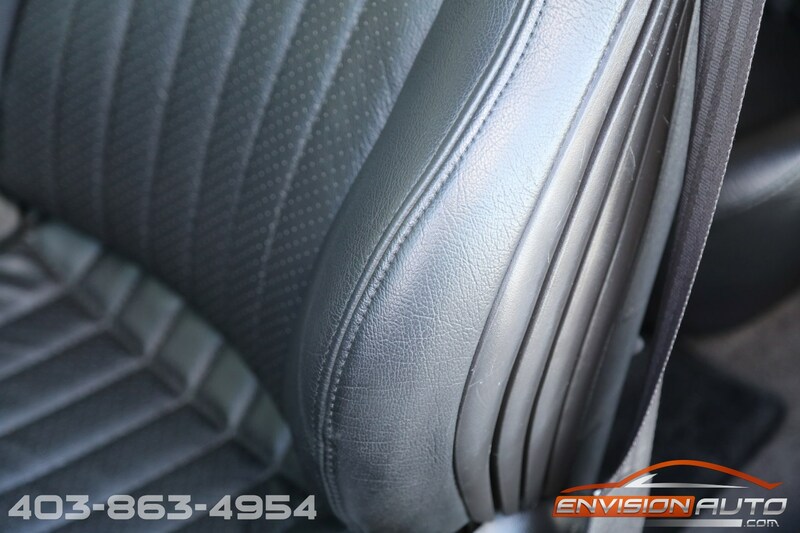 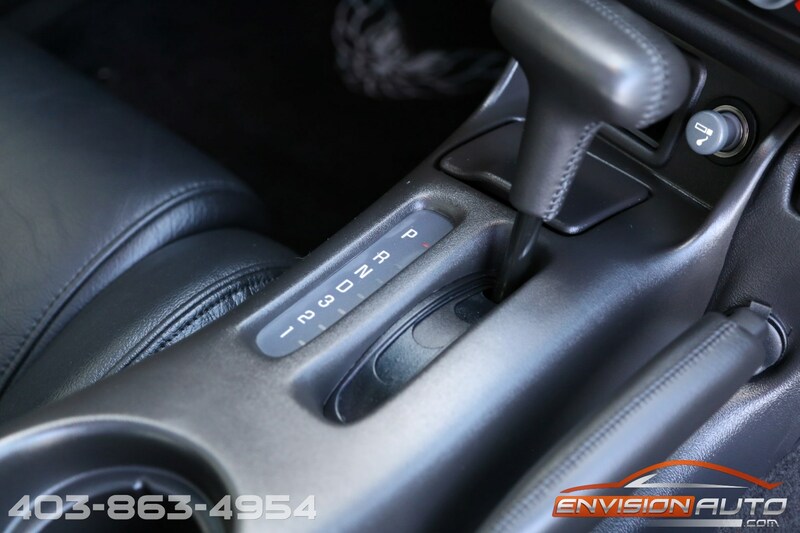 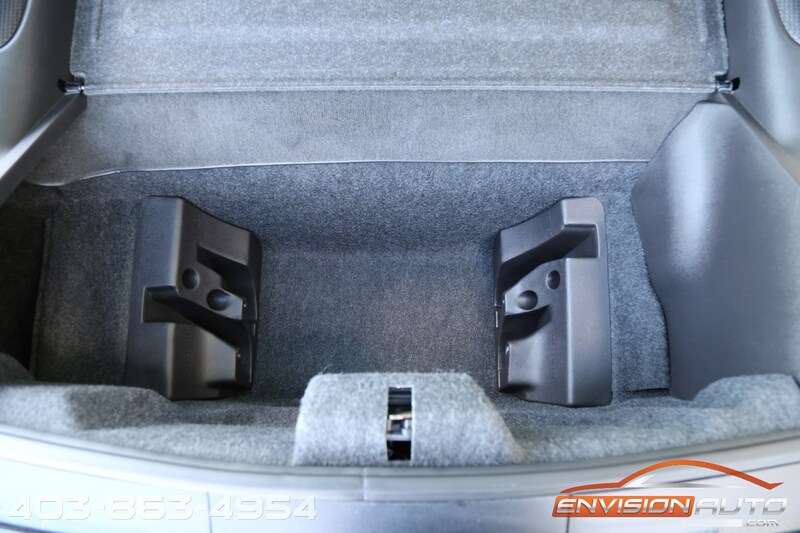 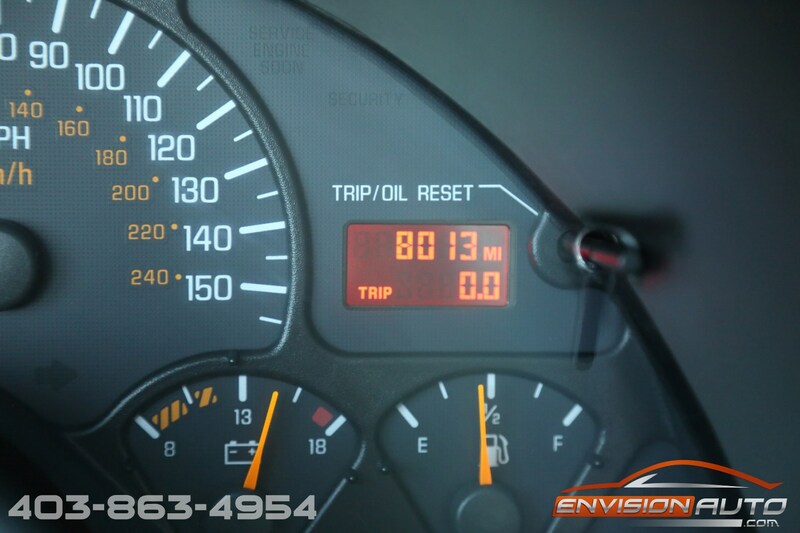 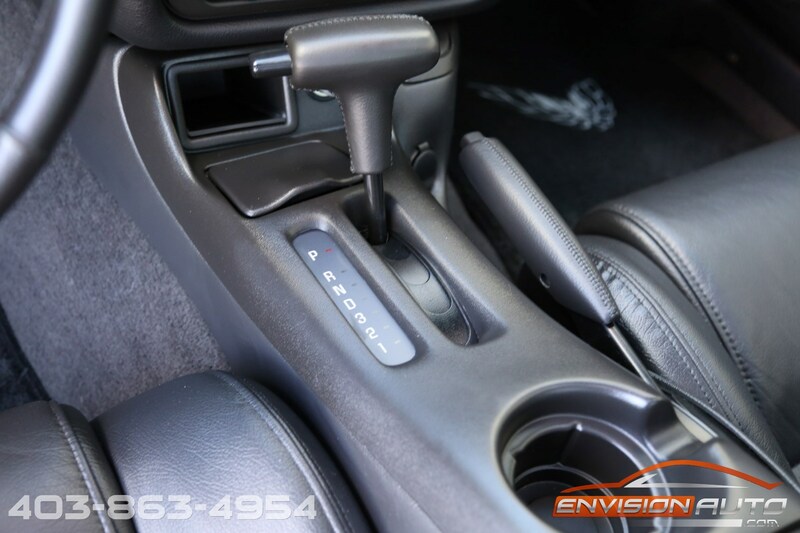 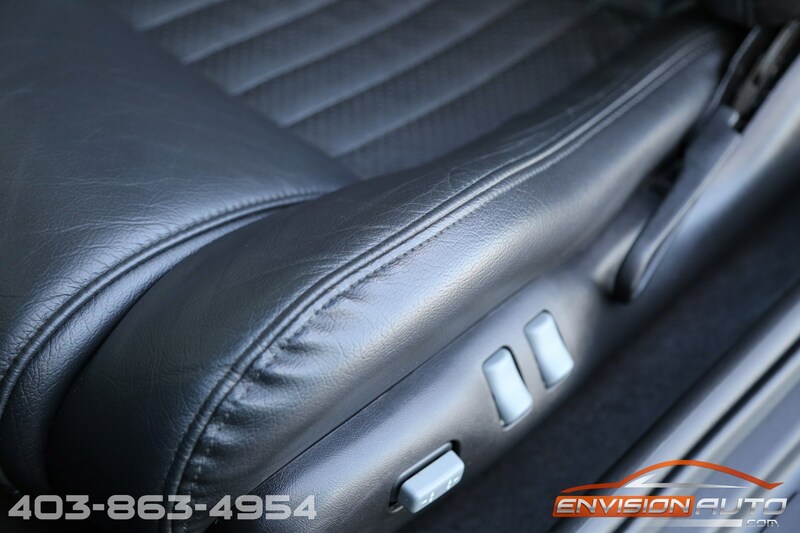 The mileage represented is 100% accurate and was accumulated only by driving the car short distances to ensure proper preservation. 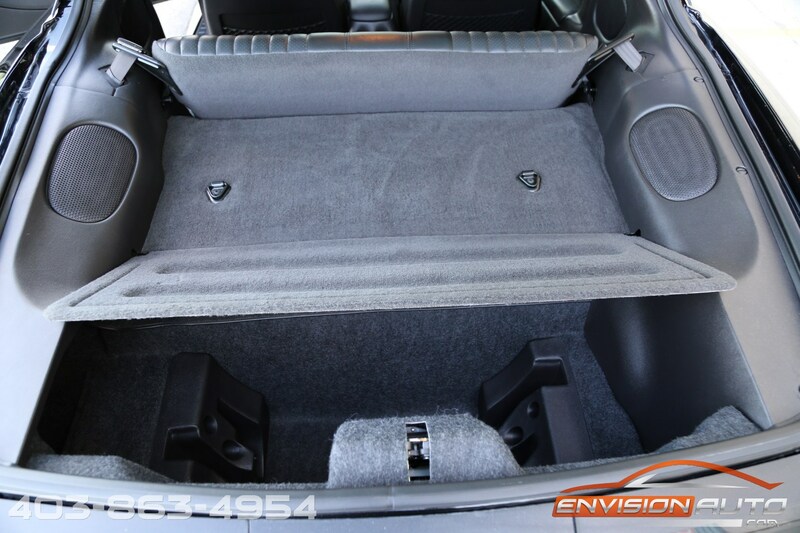 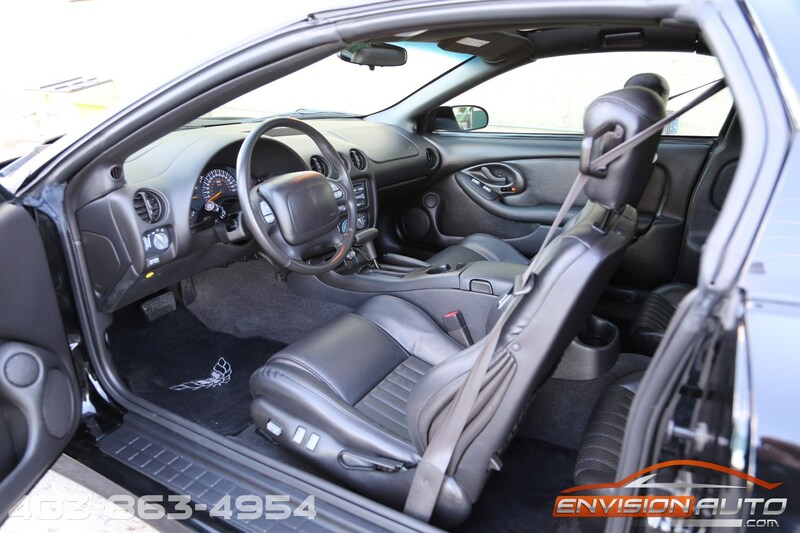 This car is the real deal – no excuses here whatsoever. 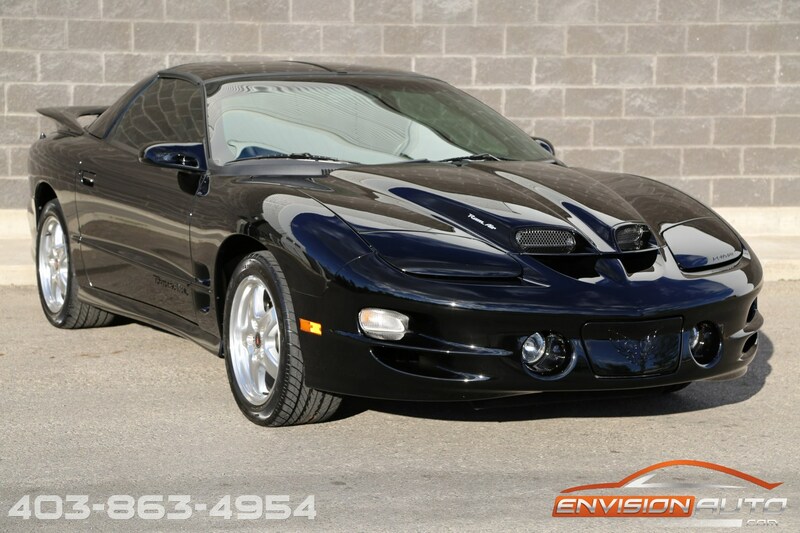 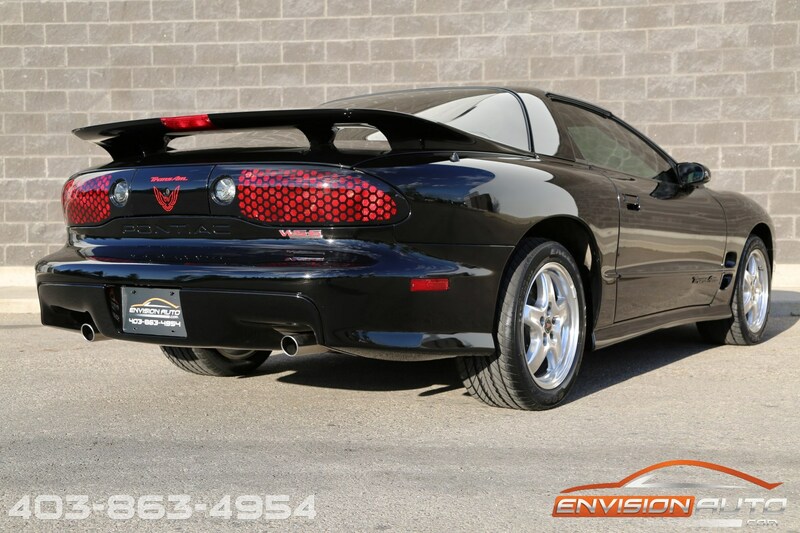 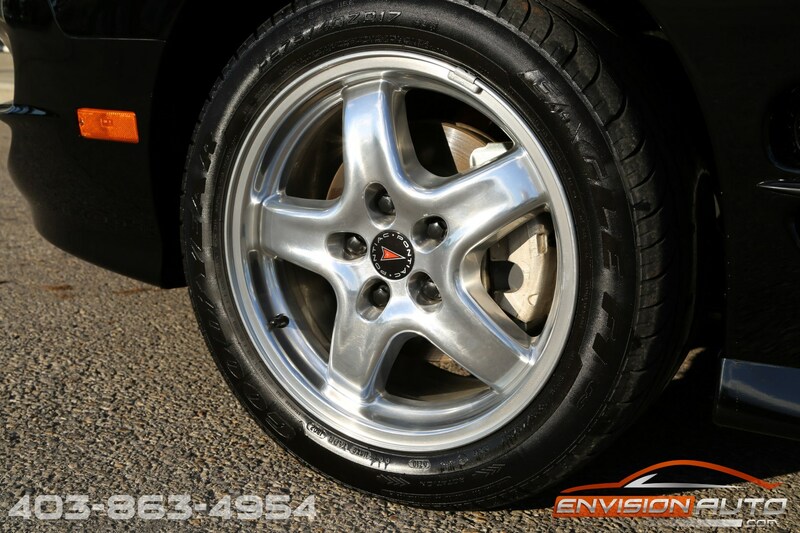 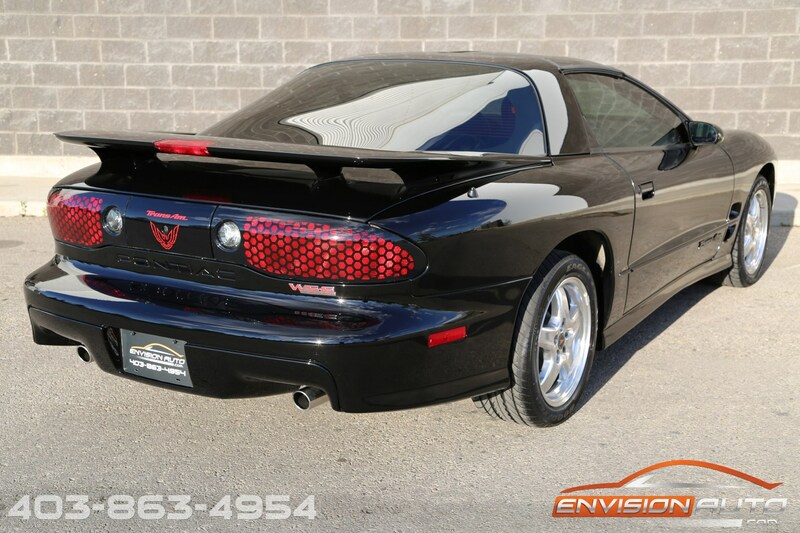 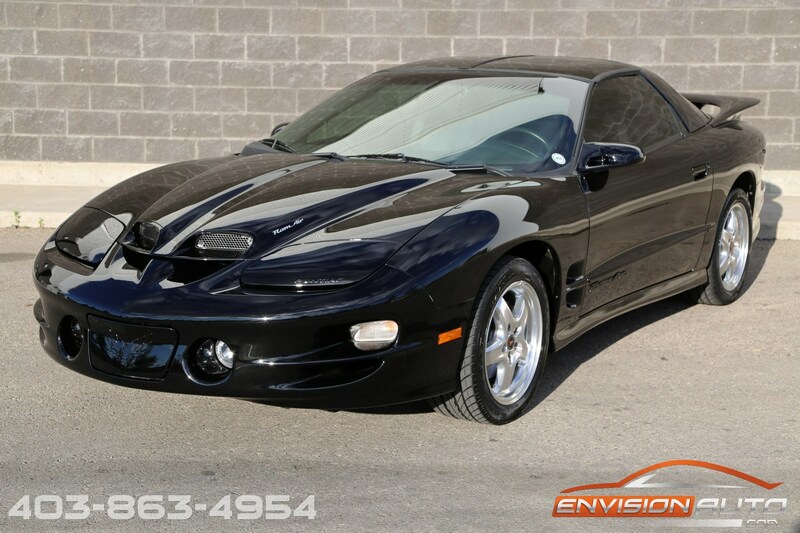 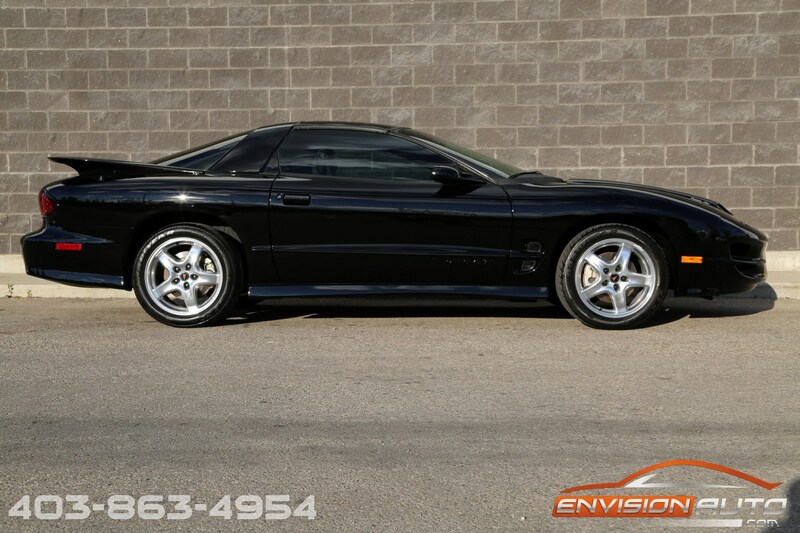 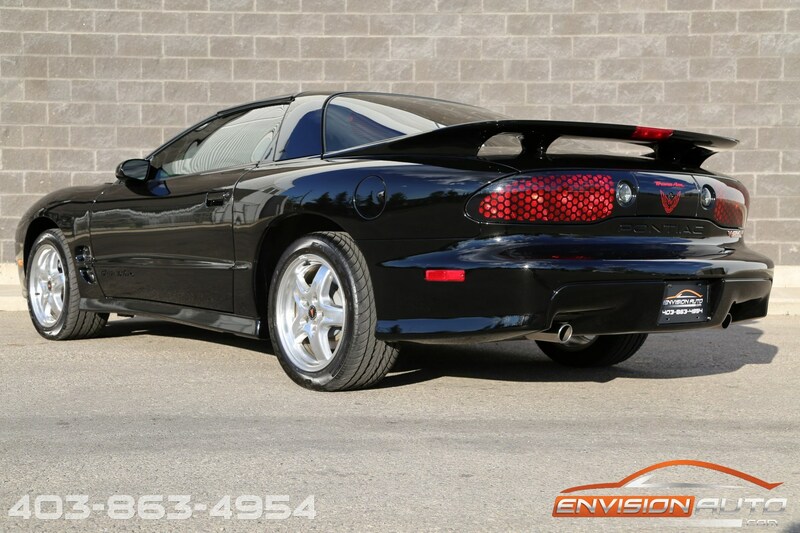 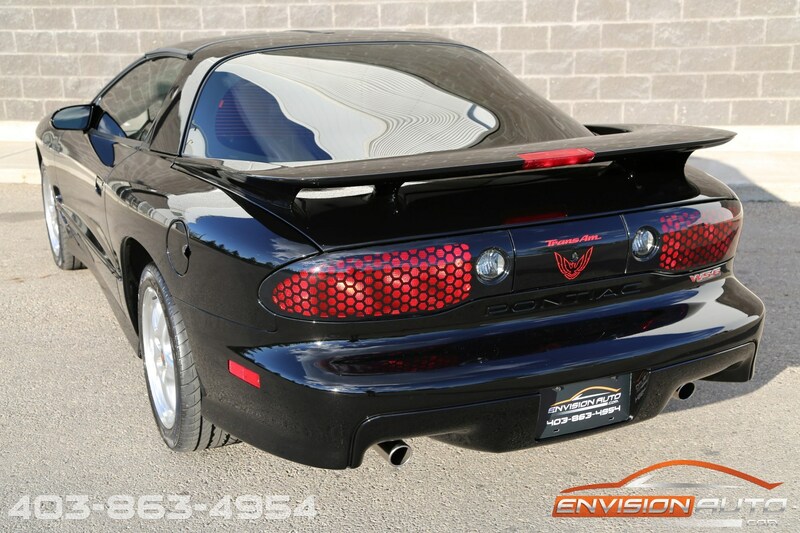 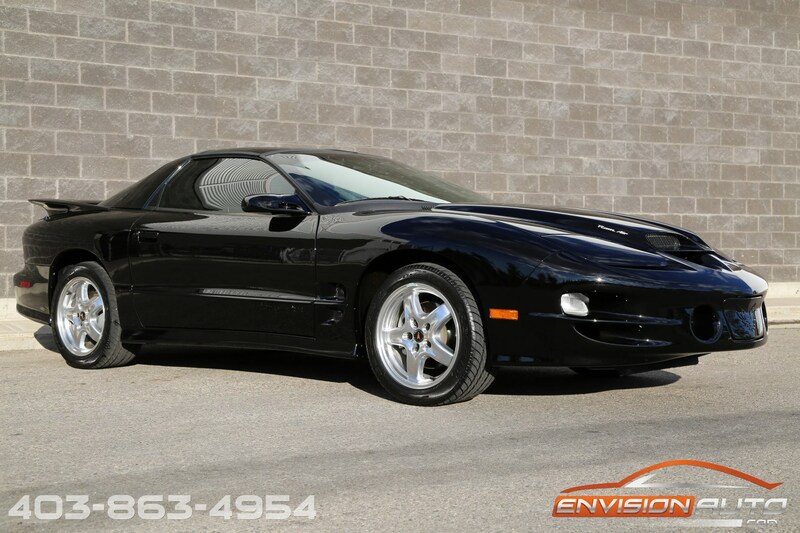 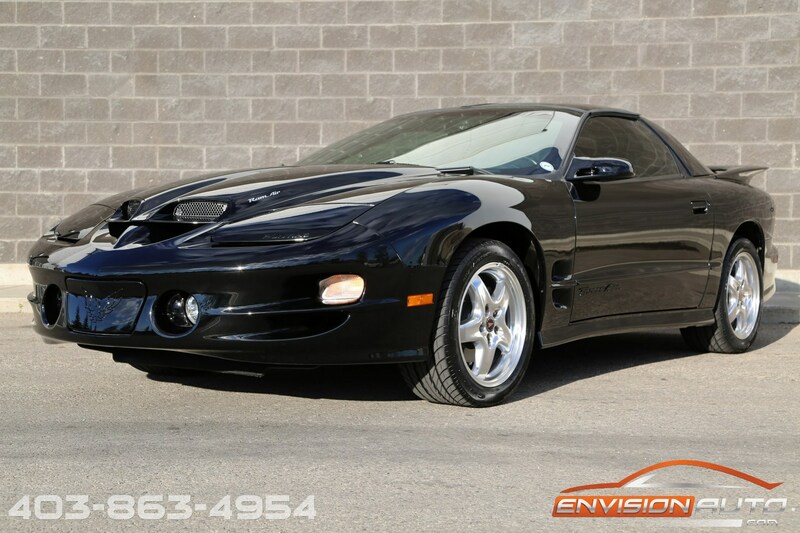 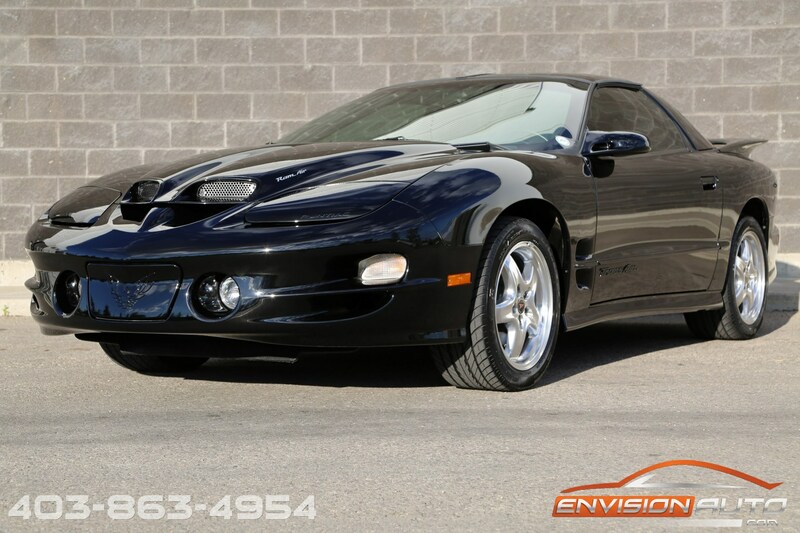 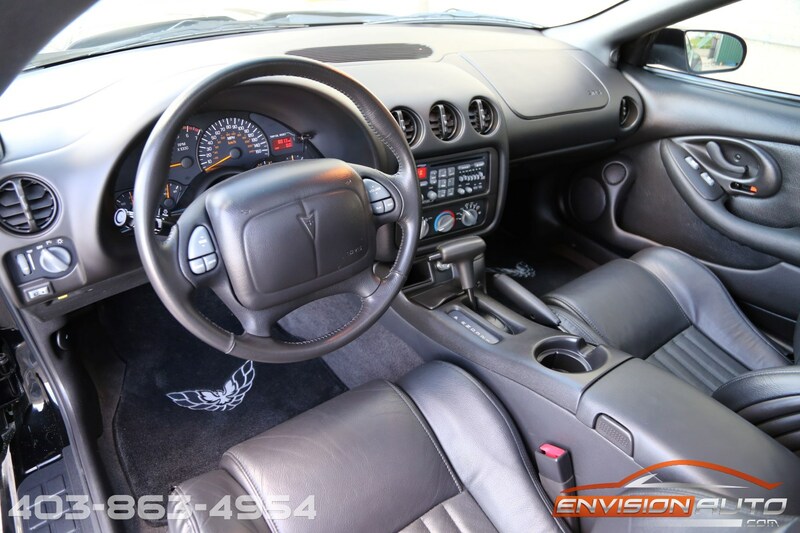 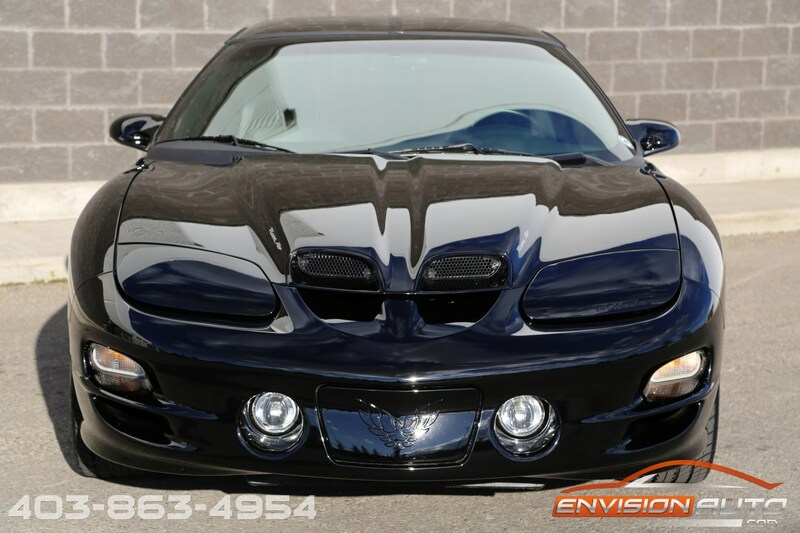 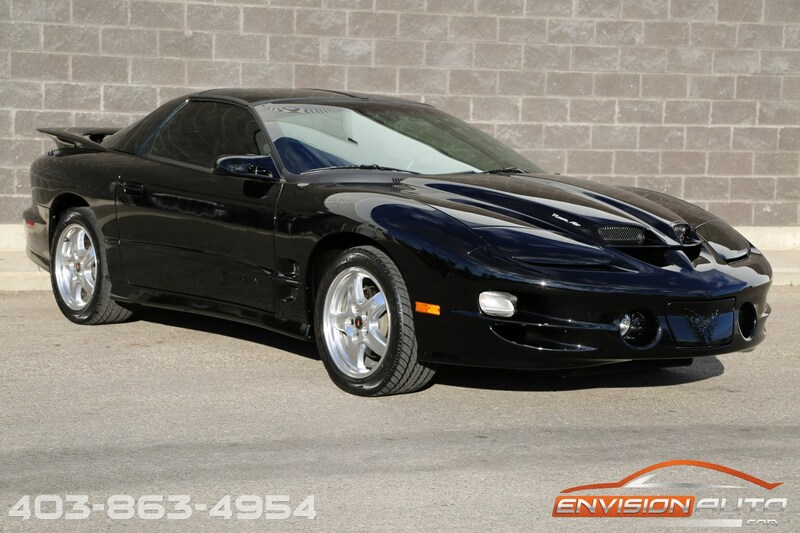 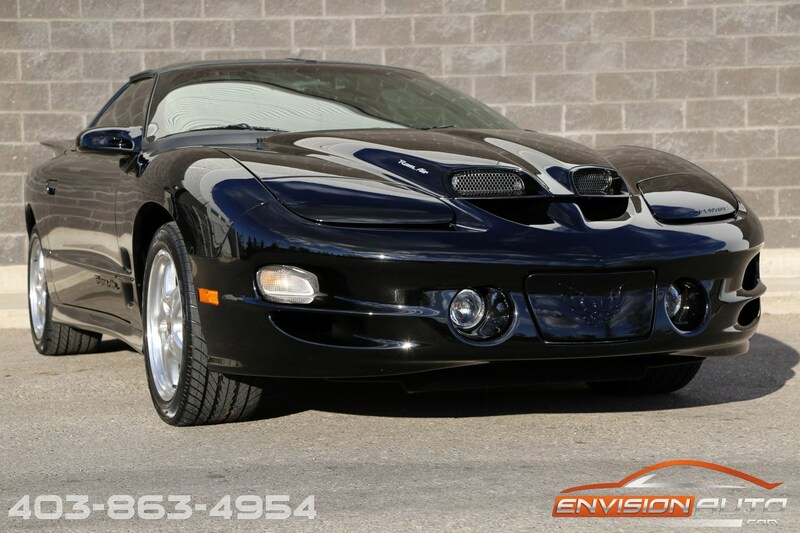 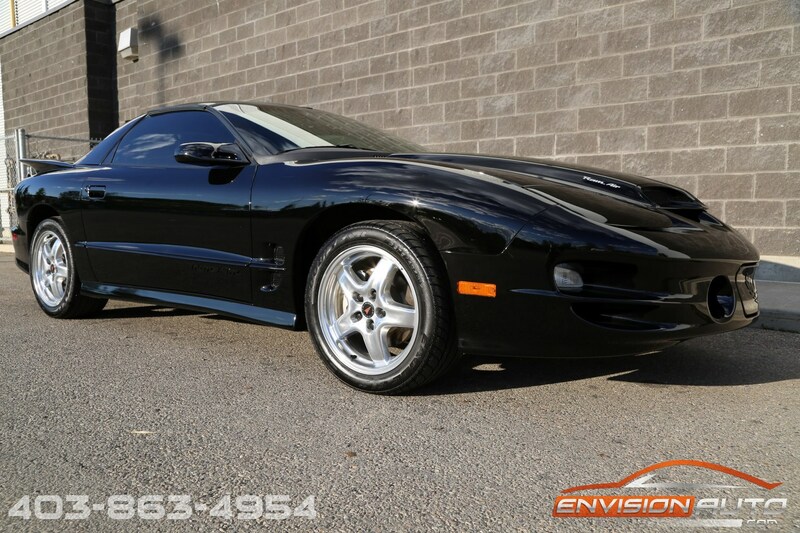 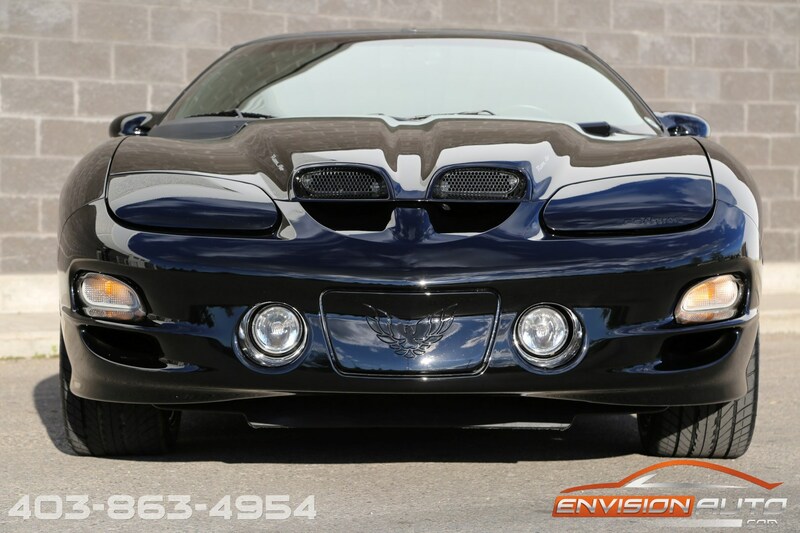 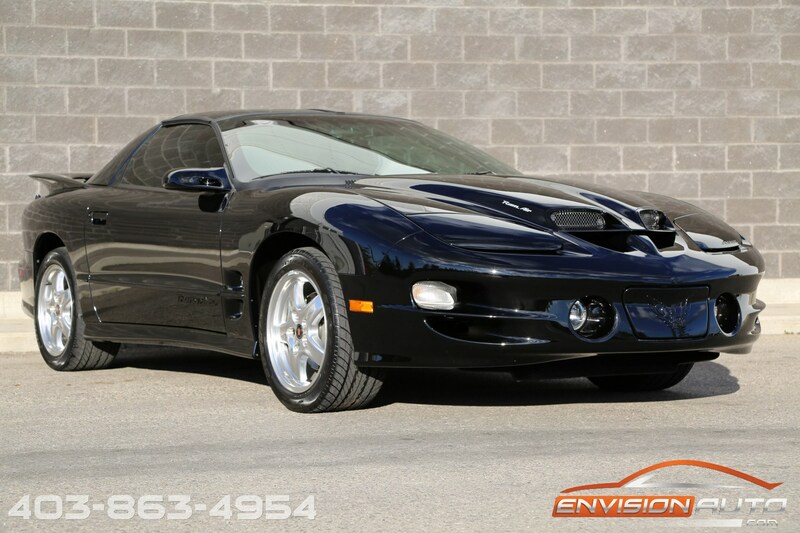 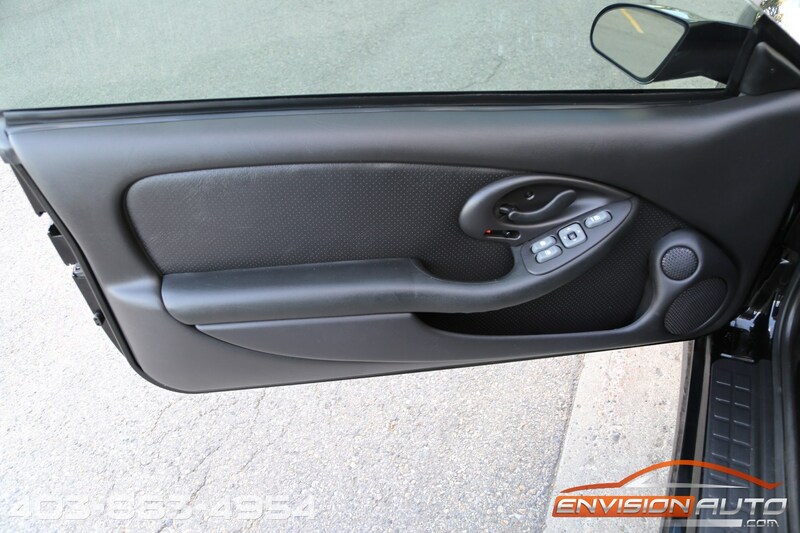 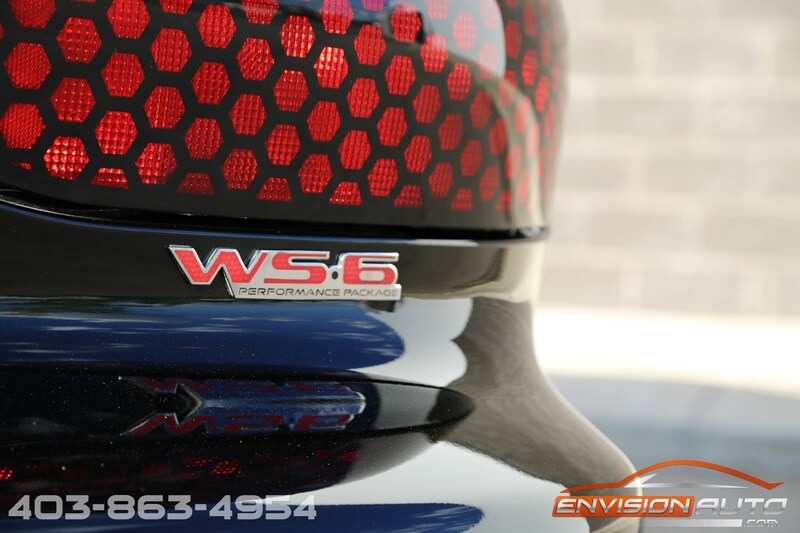 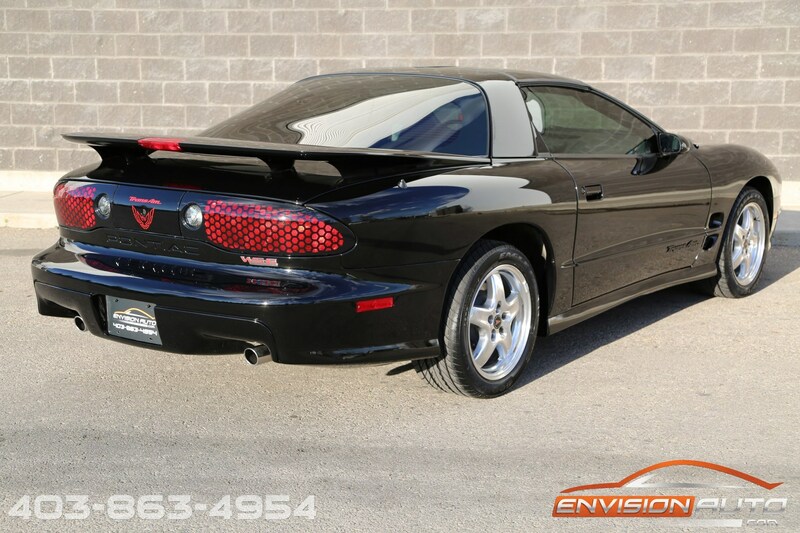 If you are in the market for a collector grade, final year WS6 TransAM – this is the one.